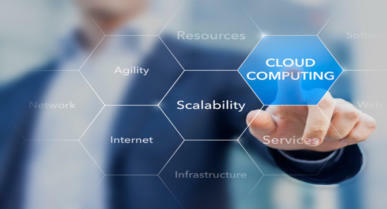 Cloud Solutions Ready to take your business to the cloud? We have solutions and experience to get you there….. When looking to move your business to the cloud it is important to select the right company to help your business navigate the transition. Knowing the location of your data and the people who will support the system is vital. • Our partners provide - o Affordable and secure hosted servers for SMB’s using best in class hardware and data centres o No lock in contracts with scalable servers o Easy migration from onsite hardware o Local support, Local data centres with full time access • Data Centre - Private All infrastructure is best in class with local data centres NextDC and Syncom and all equipment is best in class HP servers and Cisco / Mikrotik firewalls and networking. • Servers and Software We will assist you in selecting from different server sizes. Microsoft software usage is made easy as you can simply rent whatever is needed per month with no commitments. In fact any software you require can be installed. • Migration We help you migrate all of your data and software to the hosted servers. There is very little if any downtime as servers are preconfigured and loaded with data before you switch. A support person will be onsite at your location to assist with users logging on for the first time. We provide a no obligation, free quote and a meeting to discuss questions and planning.